Pharmaceutical facilities must be contained, sterile environments that keep little to no dust or allergens. 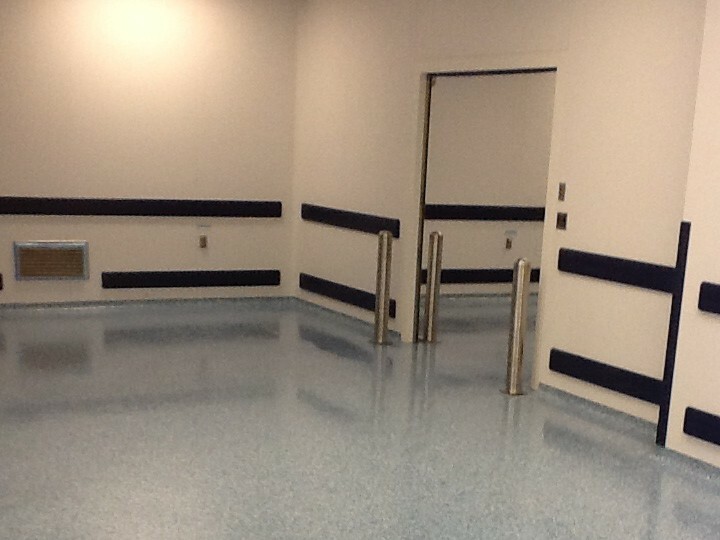 Liquid Floors specializes in pharmaceutical flooring that will prevent antimicrobial growth and promote a germ-free environment. Although industrial flooring is usually known to be a staple in the warehouse industry, using epoxy flooring as a top choice in pharmaceutical environments has its advantages. How Can The Use Of Epoxy Flooring Be An Advantage? Epoxy flooring is a sustainable flooring option that is a beautiful and safe alternative to standard flooring. Epoxy flooring will, will stay cleaner and are easier to wash down. What Is The Difference In Epoxy Flooring? Epoxy flooring can hold a variety of colors and adds a beautiful aesthetic look to the space while providing a durable option in pharmaceutical areas. Epoxy flooring is known to quickly upgrade spaces with a professional coating system that is cost-effective with lower maintenance costs. What Is The Process Of Switching To An Epoxy Floor? We provide a full visit and assessment of your facility and needs to establish recommendations that effectively produce the results you need. Our goal is to provide a professional look through epoxy flooring solutions that enhance and protect your floor. We’re the specialists that can provide the right solution for your pharmaceutical facility. With years of experience in epoxy flooring options, we guarantee superior results every time. Let us show you how concrete floors can work for you. Contact us for a free consultation today.